The main goal of the studio is to provide a fun and safe environment for dancers of all ages. ​Passion is what drives us to be the best. Our dancers will experience top quality classes lead by trained instructors. In our company we strive to reach that passion in everyone. We allow them to express themselves and progress at their own pace. Dance is Life Studios collaborates with all arts and we are working closely with Arizona Consortium for the Arts http://artizona.org. The center of what we offer will always incorporate a form of dance. All ages are welcomed and perfect for beginners! Our mission is to use dance to uplift and instill confidence. By creating a comfortable environment it allows each dancer to achieve their full potential. Stacy Rodriguez, dance instructor and co-owner of Dance Is Life Studios, was born in Los Angeles and raised in San Pedro, CA where her mother put her in free classes at the Boys and Girls Club at the age of 4. She was trained by Mindy Garza a dance instructor and gymnastics coach. During this time she was taught how to bring tumbling into her dance performances and learned how to fall correctly to avoid injury. Stacy focused on all forms of dance but her favorite styles are modern, lyrical, and jazz. At the age of 15 she joined the Cabrillo Dance Company where she learned different styles of dance like African, Latin, and Swing. In 2009 she received a dance scholarship for a Summer Dance Intensive at Cypress College. She then went off to learn more on the history of dance at Cal State Dominguez Hills. In 2013, she joined Relentless Dance Company where she was pushed past her limits and reach that inner rawness in her dancing. The Boxing Gym in San Pedro, CA hired her to teach their children’s cheer/dance team. Stacy had the privilege to travel to various cities of Nicaragua as a backup dancer for J.Smooth. The performances were on both onstage and televised. She was hired with her sister/business partner to teach beginning ballet to toddlers at Fun Farm Family Day Care. 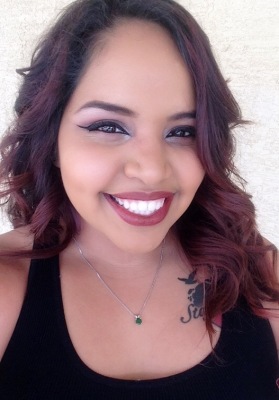 Born in Los Angeles and raised in San Pedro California, Yesenia began her dance training at the age of 5. Her mother started her off with free ballet classes taught at the boys and girls club. She later received classes from dance instructor Mindy Garza, who pushed the dancer and brought out the strengths of the dancer. With Garza she learned tumbling, ballet, jazz, modern, and hip hop. She joined Cabrillo Dance Company at the age of 16 and learned additional genres like African, Tahitian, Latin dance, and lyrical. Through California State University of Dominguez Hills she studied extensively the art of dance. She later joined Relentless dance company and learned a raw form of dancing, which challenged her to let go of the traditional form of dance and dance from the soul. Yesenia had the privilege to use a room at Bally Total Fitness to teach a Hip Hop routine. She was seen by one of the managers who offered a position as a Hip Hop instructor. She performed as a back up dancer for J.Smooth in many cities of Nicaragua. She was hired to teach toddlers beginning ballet at Fun Farm Family daycare in Palos Verdes and fell in love with helping kids develop dance. Now she is the proud co-owner of Dance Is Life Studios and decided to work with all ages.